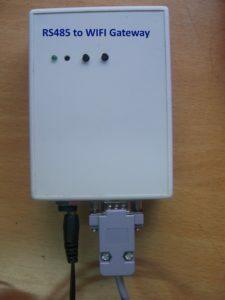 This RS-485 to Wifi gateway can read the data from one or more RS-485 slaves & upload the data to remote server over Wifi Internet. Upload industrial sensor data to cloud – Liquid level, fuel level, Vibration, Tilt, Weight, Temperature, Humidity, Pressure etc. Can be customized to suit specific customer requirements at nominal costs. Please email design@tronicszone.com for a quote.